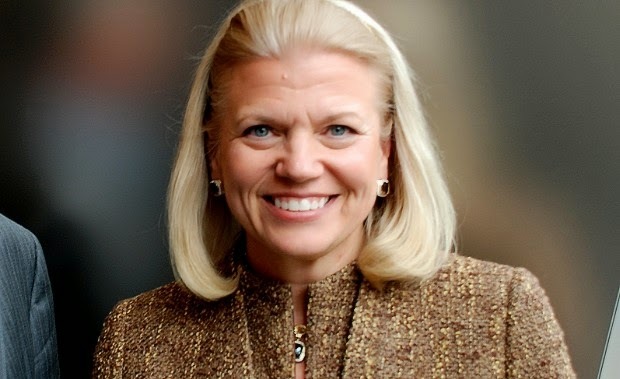 Ginni Rometty – Chairwomen and CEO of IBM. I spent last Thursday driving around the South East of England attending a couple of events, primarily aimed at Women in the Technology industry. Connecting Women in Technology is a private networking group which aims to attract, retain, inspire and empower women by developing a community to help grow women’s contribution in IT, currently the community includes staff who work at Avaya, Cisco, Dell, Google, HP, IBM, Intel and Microsoft. The companies involved take it in turns to host events in order to inspire and educate women and men in the IT industry around diversity, leadership and many other topics. The event I attended on 13th March was hosted by Dell, and the theme was “Paying it Forward”. The idea being to help those up and coming within business to get further, by giving advice and sharing experiences to help others move forward in their careers – based on the fact that someone has done it for you previously. Following an introduction from Tim Griffin, CEO Dell UK, I attended the first break out session with Perdita Hunt; the Director of the Watt’s Gallery, just near to Guildford. Having worked with the gallery over the past few years she has helped to restore the buildings and increase the number of visitors dramatically. Her session was about Gender and Leadership, however she introduced the session by linking her career and development over the years with some of her favourite Watt’s pieces of art and explaining what it represented. We then broke up into groups and discussed gender and leadership. Topics included how to manage men, as a women? What are the differences in male/female teams? Perdita highlighted the importance of laughter within a team, how a more diverse team is more successful. There was some debate in the room about qualities of men and women that are often generalised across the genders. We commented on men’s ability to be very straight talking, when often women find this harder.. or is this just an individual and personal quality? A really interesting debate on male and female qualities and how this can affect team work and dynamics within the workplace. Halfway through that event, my manager and I left to head back into Central London to attend another Women in Technology event hosted by Tesco. Although we were a little late, we managed to get involved in a last bit of networking and then the break out sessions. The first for my group was by Oracle, discussing how Cloud is changing the world. The speaker highlighted the importance of Line of Business buyers in the market, who are now the driving force behind Cloud, as they can purchase relevant software for their business are (i.e. Marketing), without engaging primarily with the IT department. The key market drivers, Cloud, Big Data and Analytics, Social and Mobile, are changing the way businesses purchase technology and how they communicate with their customers. Ultimately, this mens that as technology companies, the way we communicate with our clients and what we sell is developing and we need to engage and build relationships with the LoB buyers not just the IT Directors. Other break out sessions included a demonstration from Tesco on new technology that can be worn, for example Google Glass, as well as mood recognition video. This has the potential to be used in retailers to gauge the mood of the customer, which can be then analysed in order to improve customer satisfaction. In another session, an IBMer discussed her career and highlighted the importance of work life balance and planning your career steps ahead of time, in particular thinking about being eminent. Finally, the VP of Customer Innovation and Design at BT discussed the consumerism of IT. Some really brilliant sessions to be involved with, rounded off by the Tesco Global CIO discussing the future of technology. It was the perfect opportunity to network outside of work, and I actually managed to meet my second cousin, who I’ve not seen since I was about 7 years old. She now works in IT at Tesco – such a small world! Despite these events having a focus on women, ultimately the aim is to not only encourage females to work in the IT industry and help them to be successful, but also to educate men on the importance of this too. As mentioned earlier, more diverse teams are more successful, and a colleague of mine who has ran assessment centres for graduates said that she had seen examples of this during the recruitment process. By having a 30% female representation on a board of Directors, women have a much better chance of having their opinion heard in a industry that is so predominately male orientated. Engaging with and inspiring women to push themselves within their careers is key here and these events really help to highlight this within a brilliant network and support group. 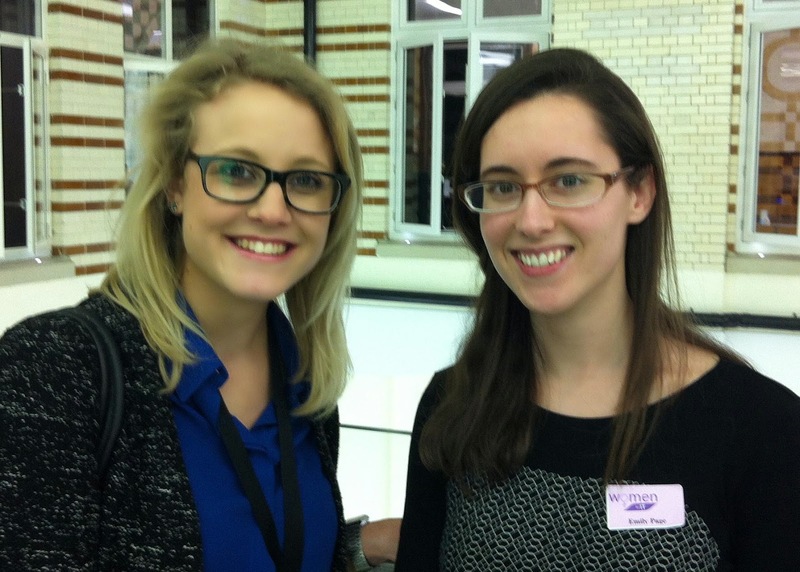 Emily and I – meeting family members at work events, crazy!